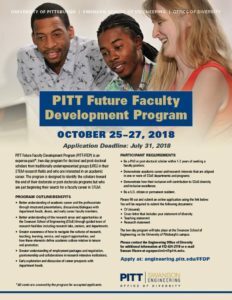 PITT Future Faculty Development Program (PITT-FFDP) is an expense-paid two-day program for doctoral and post-doctoral scholars from traditionally underrepresented groups (URG) in their STEM research fields, and who are interested in an academic career. 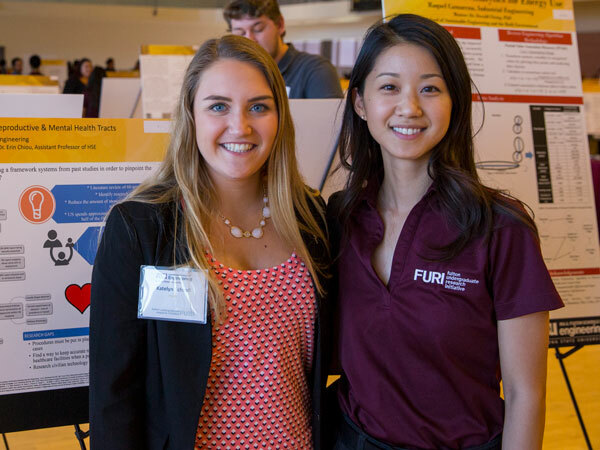 The program is designed to identify the scholars toward the end of their doctorate or post-doctorate programs but early in their beginning search for faculty career in the STEM field. Better understanding of the research areas and opportunities at SSoE through guided tours to research facilities, Research Labs/Centers, and departments. Early exploration and discussion of career prospects with department heads.